This year, it is expected that the total investments in the top 8 Indian cities by Non-Resident Indians would reach $11.5 billion. NRI investment would represent 20 percent of the total market share. If you’ve been considering making a real estate investment, now is the time. Over the last few years the current government has triggered significant shifts in the real estate industry, making it more enticing for NRIs to invest. The relative stability of the Indian economy, along with a number of major policy changes that support investment such as Demonetization, RERA and more, have only made the forecast more optimistic. Demonetization has had a positive impact on real estate. Why? It has resulted in lowering of home loan rates, thereby making investments affordable now. The home loan rates were earlier at 9.25% and post demonetization it has come down to 8%, due to high inflow of deposits into banks. The loan rate eligibility has increased, which gives prospective buyers the chance to invest in bigger properties. It ensures the delivery of the property as per the pre-decided designs and plans. This instils confidence in potential buyers. Documents now have to be revealed such as registered address, details of promoter, sanctioned plan, etc. This ensures that developers/builders can be held accountable in case of any discrepancy on delivery. 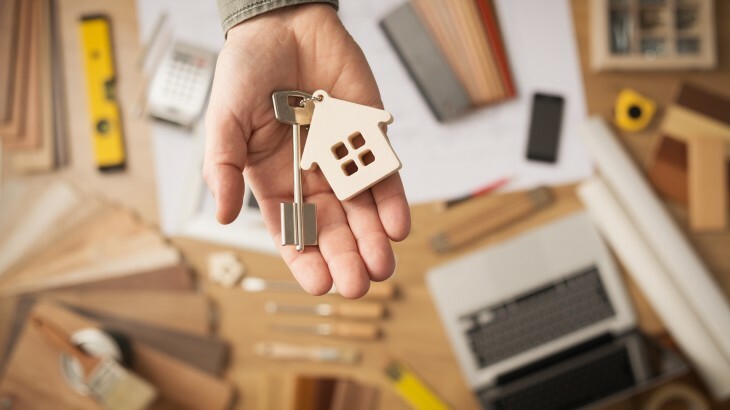 It ensures the buyer gets the exact building plan they invested in, as builders are not allowed to make any major changes in the sanctioned plans. If the builder does not meet deadlines, the buyer is entitled to an amount of interest from the builder. Your investments are safeguarded as 70% of the amount paid by buyers are maintained in a different account by the builder and are only allowed to be used for construction purposes. Thus, RERA helps in protecting the buyer’s interest. If you are abroad and you would like to invest in India, the RERA Act would allow you invest with confidence. Infrastructure is the backbone of a country’s economy. The more advanced a city’s infrastructure, the more developed a city is. The better the surrounding infrastructure, the more valuable a property becomes. The current leadership is giving high priority to infrastructure, as a boom in infrastructure is a definite boon for the real estate industry. Each day in India, we have 15 kilometers of roads being built. The government has recently given approval to build 18 new airports in India, thus increasing connectivity and making India the next global destination. By 2023, India is expected to have high speed trains which will travel at a speed of 320 km/h. Chennai is set to get the 5th phase of its Metro line. Other developments are solar traffic signals, Wi-Fi corners, e-toilets, LED lights and digital sign boards. Hyderabad is set to get its Metro by the end of 2017. The Chennai-Chittoor-Bengaluru Road has been proposed to be converted into a six-lane stretch. If you’ve been thinking of investing in India, these reasons can only help confirm your decision. Policy changes which have enhanced investment opportunities, as well as ongoing infrastructure developments are certainly creating a healthy future for the Indian real estate industry. 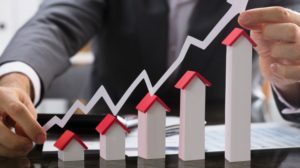 With India’s stable economy and its consistent GDP growth rate of 7 percent, it’s becoming more and more evident that now is the ideal time to invest in Indian real estate. We are offering a range of choices for NRIs in different cities to invest in India. If you would like to make a big investment, we are offering luxurious villas in Bangalore that are well worth your consideration. If you are considering a smaller investment, you could have a look at our luxurious flats in Chennai & plots in Hyderabad. For those NRI’s based in the United States, the House Of Hiranandani is headed your way. This April, we will present at property exhibition in Schaumburg, IL (15,16 April), Santa Clara, CA (22, 23 April) and Dallas, TX (29, 30 April). 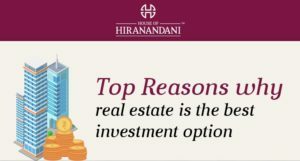 We invite you to come by and explore the many real estate investment opportunities from the House Of Hiranandani. For more information, click here.